Compatibility: Requires iOS 8.1 or later. Compatible with iPad. Turn your iPad into a full Navigation system/Travel Planner App in a secure manner, none of your data collected or sold. Each set of directions in your saved map will automatically open the route in Apple Maps on your iPhone or iPad. You can generate walking directions, travel directions, route directions or driving directions with a simple switch option. 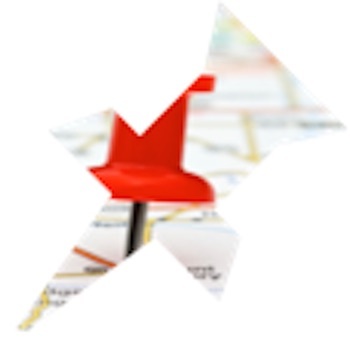 Save Your Map Plans/Travel Directions/Itineraries. Example on how to use MapItout vist www.mapitoutapp.com. Added new additional way to save spots to maps to enhance the users experience. On/Off Switch to let you tap on spots and save them to maps. ->Search for all the spots in the area you want to visit. ->click on the spots you want to save to the map. MapItOut Intuitive and Fast the essential app.